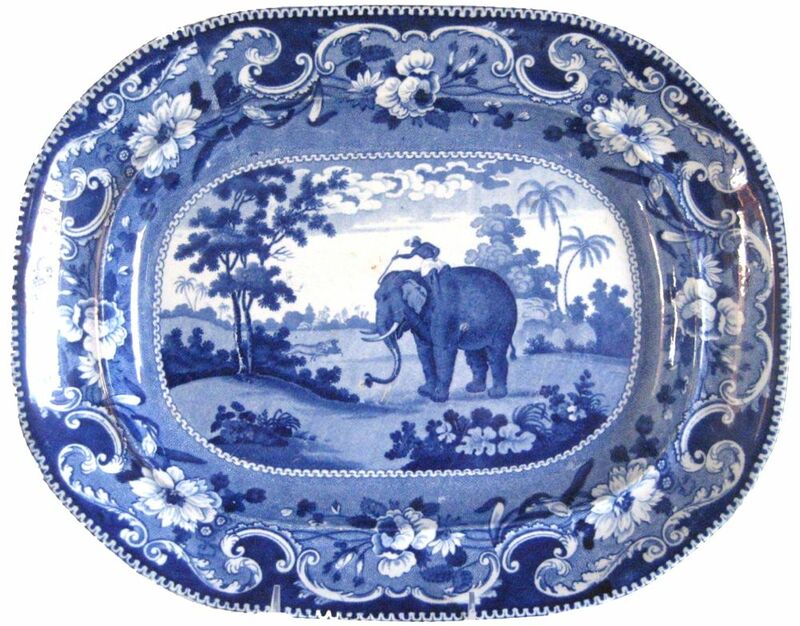 In conjunction with my last post about the "Quadrupeds" pattern which features an elephant printed on transferware, http://dishynews.blogspot.com/2013/05/quadrupeds-and-source-prints.html, I thought I would show two more transferware elephant patterns which used the same source print from "The Cabinet of Quadrupeds" by John Church. 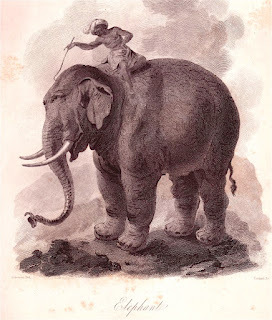 As opposed to the John Hall "Quadrupeds" elephant, both Wood and Meigh have retained the handler from the source print. Enoch Wood & Sons (1818-1846) created a large dinner service in the 1820s known as the "Sporting Series." It features a different animal on nearly every size and shape. Below is the 15 inch platter. 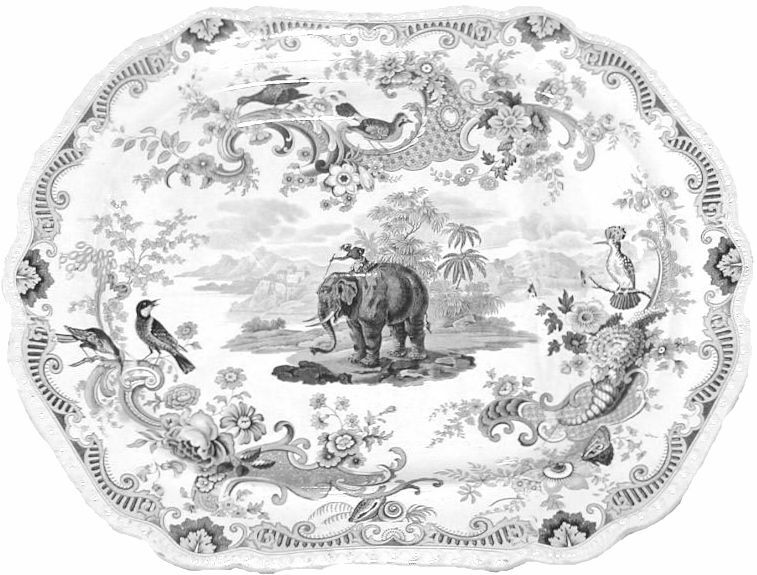 Job Meigh & Son (1805-1834) made a large dinner service around 1830 titled "Zoological Sketches." It is printed in blue or black and also features a different animal on each size and shape. 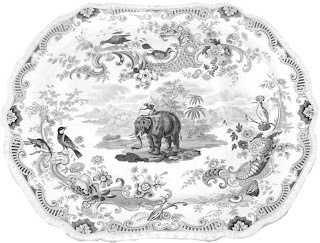 Below is the 21 inch platter. 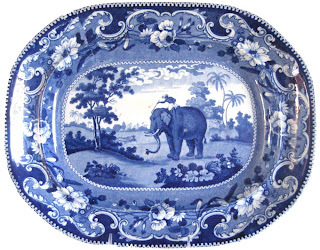 But you forgot my favorite elephant pattern! Glad you like this pattern too.